i rock paper and scissors: A new layout to share! A new layout to share! I went to a crop over the weekend with a group of ladies that have just recently "found each other" as local scrapbookers. We are all in different ages and stages, some empty nesters, no children, young children, grandkids, working outside the home, home based businesses, you get the idea. 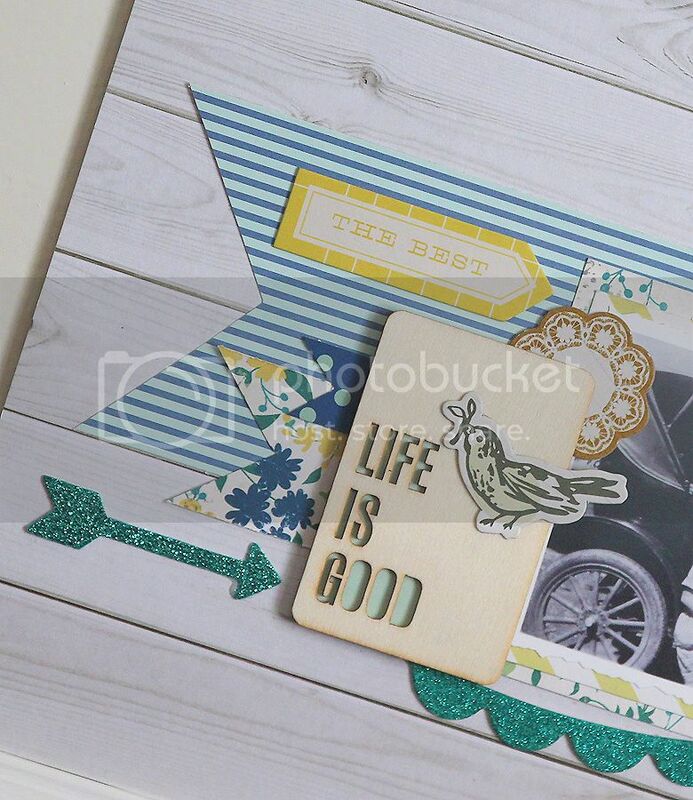 The one commonality is we all love to scrapbook! It's fun to see how a stranger can become a friend over paper and glue. Anyway, I had a great time, and I have one of the layouts I made to share with you. Hello Mary Ann, wish there would be such a group in Montreal! I would join. nothing like being with a group to scrapbook! so enjoyable, and fun. I love your page, love the way you tell short stories for each old pictures. this is something so precious. Cheers & hugs. 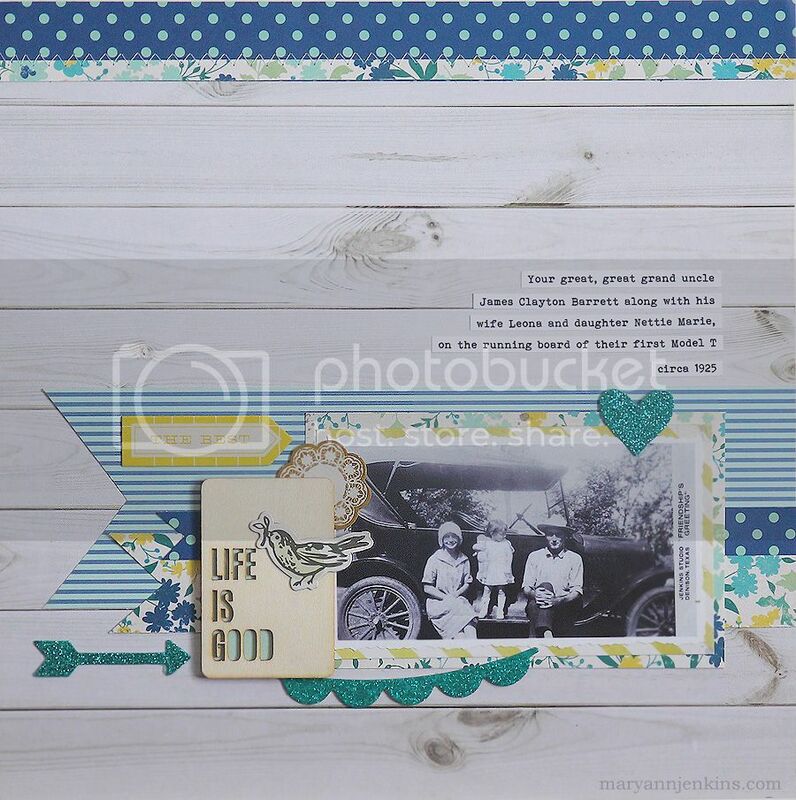 The subtle wood grain background looks awesome with the touches of Teal and Yellow, Mary Ann!! This is seriously fabulous! I love how the colors just pop of the background! I love it! Love the banners!! !